Getting ahead of the game is important in all aspects of digital marketing. The ever-changing climate of the industry can be unpredictable at times, but it’s still possible to make some educated guesses about the upcoming advances in SEO (Search Engine Optimization). Below, we take a look at some of the terms you’ll likely be hearing a lot of in 2018. With the growing popularity of digital home assistants like Google Home, Alexa, and Siri, voice-activated search queries have increased significantly. People are now searching for more personalized questions (ie: Where should I eat lunch in Fort Langley today? Look for hair salons near me.). Google reports that 55% of teens and 40% of adults use a voice search feature daily. Content is always king. Quality content that users are engaging with will rank higher in the search engine results page. Google uses a tool called Latent Semantic Indexing which looks at pages and terms to learn which are related and likely to be used together in context to create a comprehensive piece of content. This is why plugging keywords into an article won’t necessarily increase your rankings. Not only is it important to focus on creating a healthy backlink profile, but Google can now track “linkless” backlinks. That means that mentions can now be tracked even if there is no link attached to it. Google favours pages that load in under three seconds. The speed at which your website performs impacts UX (User Experience) which then impacts your search rankings. It is also worth mentioning that more users are accessing the web from their mobile devices and thus, your site must be optimized for mobile usage. You might have noticed some of Google’s SERP features the last time you submitted an inquiry. Google’s search engine results page not only includes organic results, but also AdWords, news block, featured snippets, local packs, reviews, tweets, video and images, and shopping results. These features can take attention anyway from the #1 result and therefore should not be ignored. With the creation of rich snippets, you can now communicate with search engines better than ever before. Include photos, links, reviews, etc, in your schema.org data so that customers have a better idea on what your website is about. While it’s debated whether or not rich snippets improve your search rankings, data shows they increase your click-through-rates. We’ve done the research, now it’s time for you to execute! Use these tips and information to stay one step ahead of the SEO game this year. Darian brings over 15 years of experience in marketing, communications and public relations. Throughout his career, he has also been a founder and board member of various foundations and charitable organizations. 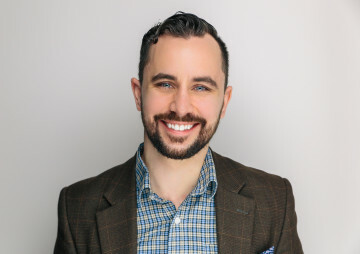 Through his award-winning Vancouver PR agency, Jelly Marketing, Darian has worked with various local, national and global brands building and executing on their digital & PR strategy. Jelly has recently launched a digital training academy called Jelly Academy for training small business owners.